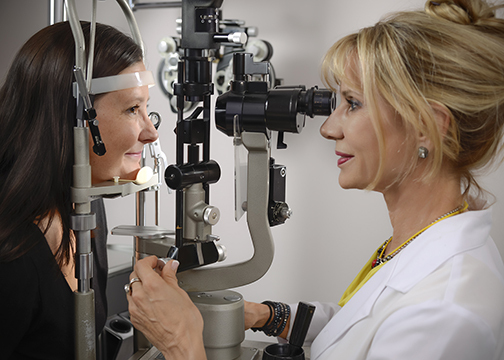 At Susan M Sloan, O.D., your vision is our primary concern. We offer vision correction for eye diseases and disorders that limit your enjoyment of the world around you. We can effectively correct vision conditions, such as myopia (near-sightedness), hyperopia (far-sightedness), and presbyopia (problems focusing on objects near the eye). 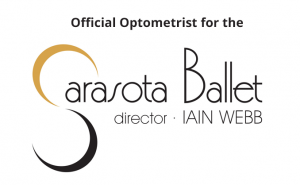 Our vision-correction services aren't just about clear vision - they're about healthier vision. That's why we offer a variety of treatment options. We are happy to provide you with some basic information about various vision-correction options that are available at our practice or from eyecare specialists. Did you know that 80% of everything a child learns, understands, and remembers is acquired through his or her visual system? Vision is very important in the learning process. What's worse is that one in four children have undiagnosed vision problems that affect their learning. Sometimes the problem is misdiagnosed as ADD (attention deficit disorder), ADHD (attention deficit hyperactivity disorder), or dyslexia. 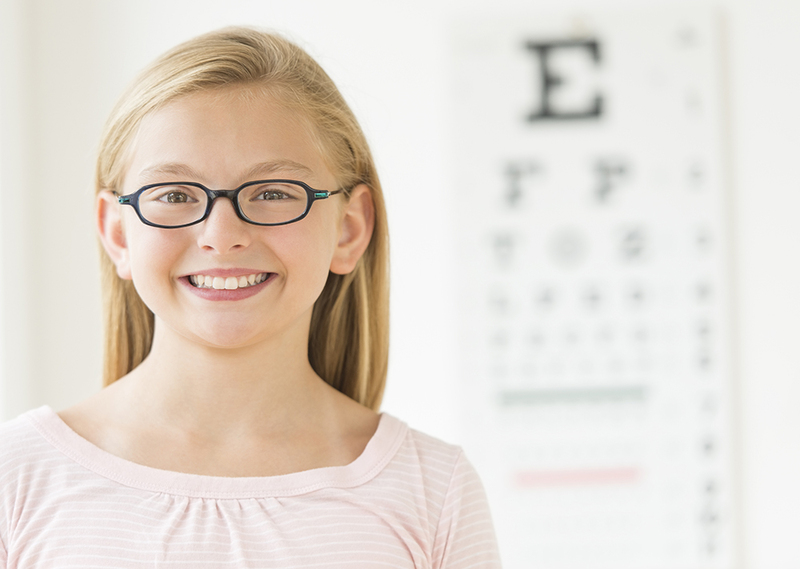 It is important that children receive comprehensive visual exams starting as early in life as possible. 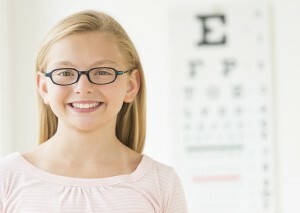 Vision screenings at school are not sufficient as a basis for diagnosing vision problems. A comprehensive exam may find a visual problem missed during screenings, and your eye doctor can recommend treatment. Children suffering from uncorrected vision problems may face many barriers in life - socially, academically, and athletically. Make sure your child's vision is developing well. Low vision is a vision condition caused by several eye diseases, including cataracts, macular degeneration, and diabetic retinopathy. Few people today are totally without sight. Most have some sight but suffer from low vision. Low vision can come in many forms, including loss of central vision, loss of side vision, blurred vision, generalized haze, extreme sensitivity to light, and night blindness. Low vision should only be treated by trained optometrists who specialize in low vision. Low vision often requires different therapeutic treatments than other vision conditions. Optometrists who specialize in low vision can examine the patient and recommend treatment which may include therapy and/or low vision devices. Refractive procedures manipulate the eye to improve vision. Though there are several types of refractive procedures, the most popular is known as LASIK (laser assisted in situ keratomileusis). LASIK involves reshaping the cornea using incisions and lasers. An incision creates a flap which is folded back. Lasers are then used to reshape the middle layer of the cornea and correct the vision. The flap is folded back and allowed to heal, resulting in much clearer vision. Not everyone should consider a LASIK procedure. Candidates should be over 18 years of age. If you are pregnant, nursing, or suffering from a number of diseases, you probably are not eligible for LASIK. You are also not eligible if your prescription has changed a great deal over the past year. Dr. Sloan does not offer LASIK proceduers but will be happy to discuss the pros and cons of this treatment if you are considering it. "Keep your eye on the ball!" If there's one thing that seems to be a key to success in sports, it's vision. 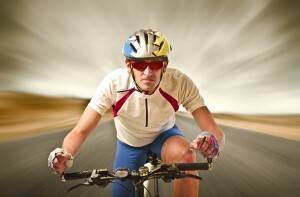 But did you know you can improve your performance by improving some aspects of your vision? It's easy to recognize problems, and even easier to solve them. The following are some aspects of vision which can be the difference between victory and defeat, and some exercises to improve performance. Dynamic visual acuity is your ability to see objects when they are moving fast. This is important in sports like hockey, racquetball, and tennis. To improve dynamic visual acuity, cut out letters, stick them to a turntable, and try to identify the letters at different speeds. Visual concentration is your ability to ignore distractions happening around you. Your eyes naturally react to movement in the field of vision from spectators, other participants or the playing environment. To improve your visual concentration, have a friend stand nearby and wave his or her hands erratically while you practice. Eye tracking is following an object with your eyes without much head motion. It is important with any sport that involves a fast-moving ball. Good eye tracking will improve balance and reaction time. You can improve your eye tracking by watching the flight of a ball while keeping a book balanced on your head. Eye-hand-body coordination is how your muscles and limbs react to the information gathered by your eyes. It affects timing and body control. To improve your eye-hand-body coordination, jump up and down on an old mattress while a friend tosses you a tennis ball from a variety of angles. Catch the ball and toss it back. Visual memory is the ability to process and remember a fast-moving, complex picture of people and things. It is very important in basketball, hockey, and soccer, where the game quickly moves up the field. Visual memory helps you know where your teammates and opponents are positioned. To improve visual memory, look at a magazine page for a second, then turn the page. Try to reconstruct the images you just saw. When you've mastered the exercise, allow 5 seconds between seeing the image and reconstructing it. Peripheral vision is the ability to see what is not directly in front of you, out of the corner of your eye. This allows you to see your teammate to your left or right while focusing on the goal in front of you. To make your peripheral vision more useful, try watching television with your head turned to one side or the other. Visual reaction time is what allows a batter to hit the ball, or a tennis player to return a serve. It is the speed with which your brain interprets and reacts to visual images. To improve your visual reaction time, stand with your back to a friend. Have him or her toss a ball to you and yell, "Now!" When you hear the yell, turn around and try to catch the ball. By repeating this exercise, you can teach your brain to react more quickly. Focus flexibility allows a quarterback to quickly focus on his receivers even though they are at varying distances. To improve focus flexibility, post a magazine page on a wall about 15 feet away at eye level in front of you. Hold a similar page in your hand out in front of you, so that it is slightly to one side of your view of the page on the wall. Focus on an object or words on the page on the wall. Then quickly switch focus to the page in your hand. By switching focus back and forth, you will improve your focus flexibility. Depth perception lets you judge distance. This is especially important in basketball, golf, and other sports involving distance to the goal. To improve depth perception, have a friend point a straw at you, parallel to the ground, with the straw about two feet away from you. Practice quickly inserting a toothpick into the straw. By improving aspects of your vision, you can improve your performance, no matter what sport you're involved in. Some visual conditions cannot be treated adequately with just glasses, contact lenses and/or patching, and are best resolved through a program of Vision Therapy. eye movements, and/or visual processing. During the final stages of therapy, the patient's newly acquired visual skills are reinforced and made automatic through repetition and by integration with motor and cognitive skills. Vision Therapy can help those individuals who lack the necessary visual skills for effective reading, writing, and learning (i.e., eye movement and focusing skills, convergence, eye-hand activity, visual memory skills, etc.). To learn more about vision-related learning problems, visit any of these web pages on reading, learning disabilities, ADD/ADHD, dyslexia, tracking or convergence insufficiency. Vision Therapy helps individuals develop normal coordination and teamwork of the two eyes (binocular vision). When the two eyes fail to work together as an effective team, performance in many areas can suffer (reading, sports, depth perception, eye contact, etc.). Vision Therapy programs offer much higher cure rates for turned eyes and/or lazy eye when compared to eye surgery, glasses, and/or patching, without therapy. 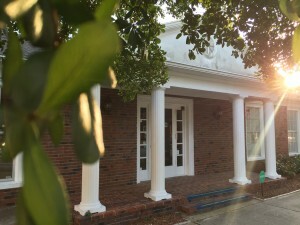 The earlier the patient receives Vision Therapy the better, however, our office has successfully treated patients well past 21 years of age. To learn more about crossed eyes or lazy eye, visit the many web pages of strabismus.org, children-special-needs.org or lazyeye.org. Find out about eye muscle surgery as a treatment option for crossed eyes and lazy eye. 21st century lifestyles demand more from our vision than ever before. Children and adults in our technological society constantly use their near vision at work and at home. C.V.S. (Computer Vision Syndrome) is one of the fastest growing health concerns in the workplace today. Environmental stresses on the visual system (including excessive computer use or close work) can induce eyestrain, headaches, and/or visual difficulties which can be effectively treated with corrective lenses and/or Vision Therapy. Vision can be compromised as a result of neurological disorders or trauma to the nervous system (such as, traumatic brain injuries, stroke, whiplash, developmental delays, cerebral palsy, multiple sclerosis, etc.). Vision Therapy can effectively treat the visual consequences of trauma (including double vision). To learn more about brain injuries and vision, visit braininjuries.org. Strong visual skills are critical to sports success. Not much happens in sports until your eyes instruct your hands and body as to what to do! Accurate vision and athletic visual skills can be measured, developed, and enhanced through Vision Therapy. We measure and successfully improve eye-hand coordination, visual reaction time, peripheral awareness, eye teaming, focusing, tracking, and visualization skills (to mention just a few). Vision Therapy can be the answer to many visual problems. Don't hesitate to contact us with your questions. To read definitions of Vision Therapy by outside sources, visit children-special-needs.org. Vision Therapy can effectively treat eye movement disorders, inefficient eye teaming, misaligned eyes, poorly developed vision, focusing problems, and other visual information processing disorders.